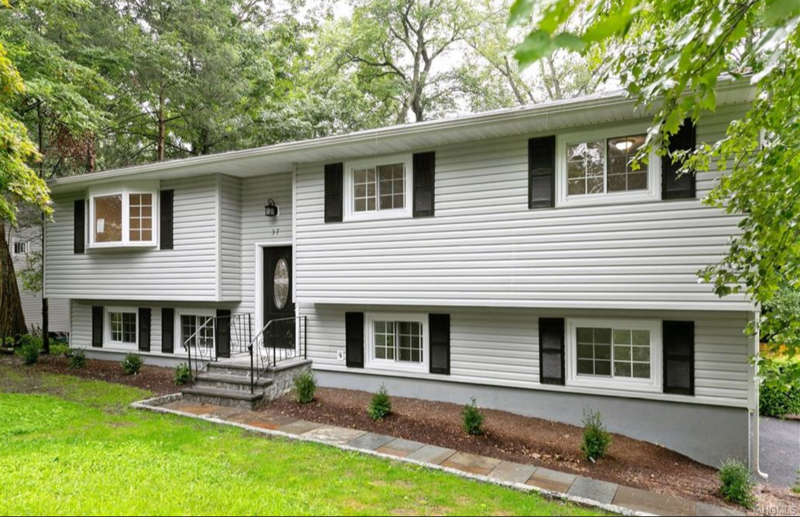 New Listing in Cortlandt Manor! Come see this Totally Renovated Raised Ranch! Entryway to upstairs to Living Room, Dining Room with SGD to Deck and Backyard, Updated Kitchen with Quartz Counters & Stainless Steel appliances, Master Bedroom w/ Updated Master Bath, 2 Additional Bedrooms and a Full Bath. The Lower Level consists of the Family Room, Laundry Room & Utilities which is 400sqft and included in the square footage. Hardwood Floors Throughout and a New Driveway. All of this on Level, Fenced-in Property. This convenient location is in close proximity to highways, shopping and Metro North Train Station. Not to be missed!! Light Finishing touches still being completed. $459,000. Listed by Jason Kerwar. 914-762-0070.